For helping me achieve my first goal of 250 Followers. Be on the lookout for the next Follower Giveaway. This will be a long post, lots to catch up on. Things have been a little busy around here. It's that time of the year to start preparing for the winter. Next week I will have 2 days of nothing but washing windows. This is done 2 times a year and it's me that ends up doing it alone. We have 33 windows and I sure hate cleaning them. Really erks me when real life happens. On too a brighter note. I'm very excited that Rhonda from Scrap Happens invited me to be a Design Team Member over at Decorate To Celebrate which she runs with Amy from Love To Crop. If you are looking for a Challenge Blog that is laid back, fun and loaded with inspiration look no more. Hop on over and check out Decorate to Celebrate. You can find the list of up and coming challenges at the top so you can always stay ahead in your creations. Did you know that each challenge top winner receives one of Rhonda's Fabulous Mini's? You can visit her blog Scrap Happens and scroll to the end of any post and look at all the beautiful mini's others have won. Winner chooses the theme of their mini. "Birthday Party for a Grown Up"
Last week on craft day I order a whole bunch of Martha Stewart Punches to add to my collections. When the box arrived hubby about had a heart attack literally. He had to bring the box up to my craft room. It was VERY HEAVY. I'm so happy to have added 32 new punches. Can't wait until the next 24 Hours Craft Day. 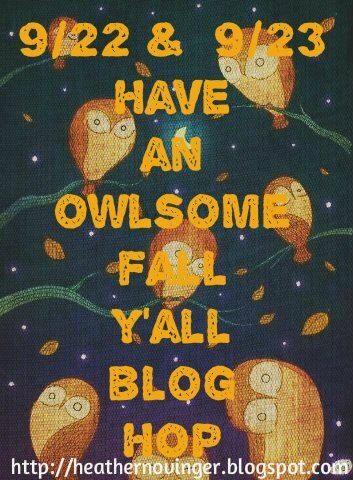 Tomorrow starts the 2 day Have an Owlsome Fall Yall Blog Hop. Will be a hopping good time. Candy to be had and fabulous creations see. Gigi over at The Cricut Bug was a part of the Stamp Release Hop for My Craft Spot and her blog candy was the Tiny Dollies Dies and I won. HIMCR #58 - Super Scraps Saturday August Monthly GiveawayBbundle. Not sure what is in the bundle but will share when it arrive. There are some really nice Linky Parties out there. I love to enter the ones that are "ANYTHING" goes since I do a variety of crafts. Most do not offer prizes and that is fine with me. However, they do usually Featured one or more entries for each party. I love being able to share my creations. Enjoy grabbing a cup of coffee near the end of each challenge and clicking on each entry. What a great way to discover new blogs and pick up inspiration. Here is a list of my favorite "ANYTHING GOES" Parties. No new Giveaway that I'm aware of. Please make sure you check Left Sidebar for current ones. Some are so close to the Ending Date or reaching the Followers needed. Cards will go out on Tuesday. The deadline for having them in is the 23rd. That gives me Monday to sort them out. Thanks to everyone who participated in the swap. I have not opened any of the envelopes as I wanted to wait until they all arrived. Looking forward to seeing your creations. I have received several email about different topics. I thought I would address them here. 1. Your Button/Blinkie is on my blog why is mine not on your? If you have placed my Button on your blog for a giveaway or challenge that was the requirement for that particular thing. If you want to do the Button Swap you see on my side bar, that is another thing. 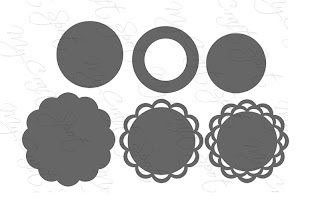 In order for me to know that you want to do the Button Swap and plan to keep my Button on your blog and not just for a giveaway then as the instruction state above the Button Swap section on my blog...you HAVE to send me the info via the Contact tab at the top of my blog. PLEASE NOTE: Challenge Buttons will not be considered in the Button Swap as they are only for challenges. 2. How do you comment on so many blogs each day? How do you determine which blogs to comment on? I follow many blogs and try my best to comment on as many as possible each day. Fist blogs I check out are the ones that are a part of my Button Swap, I click on each button and comment if there is a new post. Second I visit all the Challenge blogs list under Challenges Entered and Won. Same process clcik each button and comment on any new post. Third I move to the Others Candy Section on my blog and click each button and comment if there is a new post. Then I head off to Blogger Dashboard. I start at the top I try to comment on as many down the list as possible. I repeat this process several times throughout the day. PLEASE NOTE: If I see that I'm commenting over and over on someones blog but they never visit mine and comment. I stop leaving comments on theirs. EVERYONE loves comments and to me if you want them you must give them. 3. How do you keep your blog so neat? You never have old challenges or candy on your side bars. This is easy, if you notice I do not just add a button for a challenge or giveaway. I add the Button, Name and Date Ending. I keep them all in order by date. It may take a few minuntes longer to add but the end result is worth it. On a daily basis I can scan my side bar and delete the candy and challenges as they expire. Would be even easier if everyone would announce their winners the days the challenge or candy ended. However since most don't I leave it until they do. Every button on my blog has a purpose and each purpose has it's on section. Congrats Nana on your new DT spot!! Im sure you will fit just fine because all the ladies on that Dt are so sweet and amazing!! Hi Nana - you weren't kidding when you said its a long post LOL. But lots of info and bloggie tips. TFS and have a great weekend. Love it all! I'm sorta like you. I like my blog neat and I also add the ending dates so I can delete when done. It would help if they would pick a winner when they post it. (pet peeve of mine, being late) lol. Super long post, you must be out of breath! LOL! Just kidding, I love reading your posts and really look forward to the Daily news. I love when you pop in and comment on my blog and I also feel the love should be returned. Congrats on your win from GiGi, I used to be a DT member over at My Craft Spot. I love her stamp sets. I think my jet lag and exhaustion is over with with the reno of my scraproom. I even was down there today making one heck of a mess! Didn't take me long to mess it up, just need to print the pictures then I will put it on my blog. Take care, have a safe weekend and by for now. Ok I LOVE your Daily News and have told you that before...it is a great way to catch up on what you have been up to plus share what is going on in bloggy land!! Congrats on your wins and of course hitting 250+. I am looking forward to helping you reach your next goal!! As for commenting....I try really hard to check into blogger during the day and comment on the blogs I follow. I have noticed lately that the blogs I frequently comment on and was receiving comments from have stopped....so like you said I will stop commenting if it is not received. You are right we all love to receive some love..hear feedback and just know that a someone stopped in to visit. I understand being busy and not commenting on every post but every once in a while is nice...right?? Then I start to think it is something I did that they dont visit anymore :( I hope not!! Next I want to thank you for all your super sweet comments left on my blog. I appreciate seeing your sweet words both here and for my Guest Designer posts....You are such a great blogging buddy! Ok enough of my rambling...thanks for a great post, speaking your mind and telling it how it is :) Have a GREAT night!! I am jealous of your punches! I was tempted but resisted :). Thanks for sharing your blog/commenting methods too. I was just getting mine going but took a break to have my son (and company). Making notes for the future! Congrats on joining the Decorate to Celebrate Design Team. Your fabric craftiness & more will add to the team. I have acquired quite a lot of Martha Stewart punches. MS does not make many new ones like there use to be. I have them sorted in Rubbermaid containers: by holiday & theme. Congrats on your wins. Thanks for sharing the tips. Great updates and info! Awesome on getting so many punches! I agree with you on friends/comments! what a lot of info glad you got me up to date. Congrats on your wins!! Tak your time I'm in no hurry for the gift-I am very patient like that. I love your blinkie on my side bar and I always keep the challenge one up whether I am in the challenge or not.Thanks for displaying mine. Oh and Congrats on making Decorate to Celebrate DT! Woot Woot! I have so missed the Daily news!! Congrats on your wins and I am so, so happy to have you on the DTC design team!! I feel for you with the windows...I do them twice a year too and dread it so much. You are so amazing with leaving comments!! So glad to have you as a blogging buddy! !